How wedded golf is to rules and traditions has always fascinated us. We understand it’s a sport of decorum and honor, ideally played with respect for its regulations and history. When golfers tip their caps, it’s not only to acknowledge the skill of an opponent or the graciousness of the gallery, it’s often in thanks for the privilege they feel striding along the fairways of the world, following in the cleat marks of Bobby Jones, Ben Hogan and Arnold Palmer. There is a reason telecasts of The Masters are accompanied by soothing, melodic tones and pictures of freshly budded magnolias. It’s the way its always been, the way it should always be. It’s amazing there are no pews along Augusta National. That said, we have found great amusement in the breathless debate over what do to with flag pins, now that its OK to leave them planted when approaching the green. This was a busy offseason for the grand game, more than two dozen adjustments to the Rules of Golf were introduced. Golf.com even ran a series called “The 12 Days of Rules Changes” to make sure heroes and hackers were brought up to speed on it all. Our favorite chapter began with a rhetorical question: When you are on the green, can you putt with the pin in the hole? You can understand why this has caused such a fluff. Back in the day, like in 2018, if the dimpled thing struck the flagstick on its way to and down the hole, the poor duffer was hit with a two-stroke penalty. 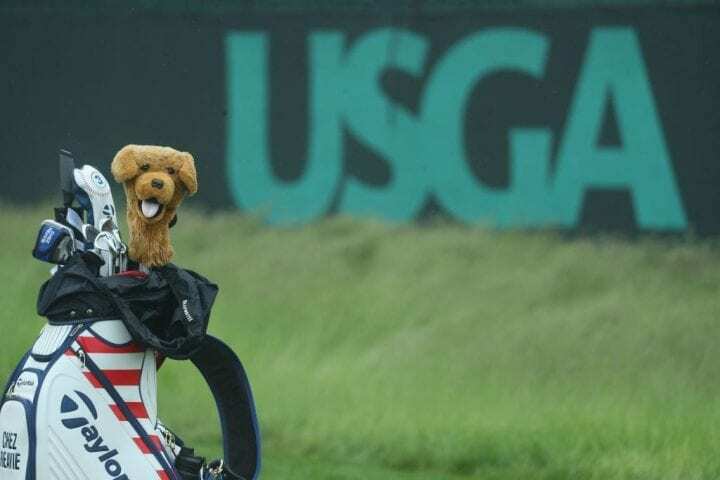 We appreciate the USGA’s concern. But really, how long does is take for a caddy to walk to the hole and lift the flagstick? Well, it seems the rule was not designed for the top-tier golfers, the ones who have the luxuries of caddies. It’s for the guys and girls like us that have to schlub across the green, approach the flag , lift and lay it down and then walk back to the ball. But traditionalists, people that hate the designated hitter, will still have the option to remove the flag or to have someone tend the pin and remove it after the ball is struck. Of course, this has caused a great kerfuffle on the Tour. Some players see the advantage, others don’t care. And no one is quite sure at the moment how it might impact scores. Most of the noise has come from Bryson DeChambeau, golf’s mad scientist. He told golf.com he will putt with the pin in if all seems right as he approaches the ball. 1). Ball headed for hole, hits pin, bounces away. 2). Ball headed astray, hits pin, drops in. DeChambeau thinks having the pin to use a bumper likely will potential create a competitive advantage. Imagine he and Tiger Woods on the 18th somewhere in the world, tied at 11-under. Woods pulls the flag and misses his birdie putt wide when it rides the lip and veers away. DeChambeau leaves the flag and makes his putt because his rims the lip, is stopped by the flag and drops in. At that point, every day will be Flag Day on The Tour. Apparently, pins used at the U.S. Open are thicker than at other stops, which adds an entirely new calculation for the golfer. DeChambeau contends a fiberglass flagstick is more accommodating than a metal one. 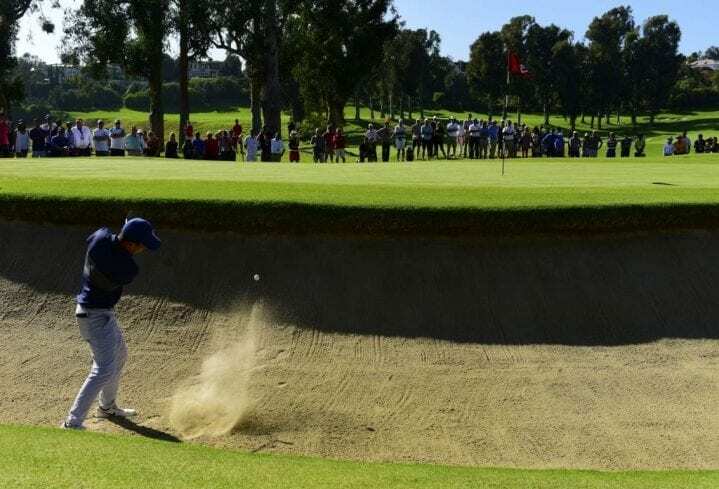 This week, the Tour is in San Diego playing Torrey Pines at the Farmers Insurance Open and the best putt of the first round was Woods’ 29-foot birdie on the Par 5, 13th hole. The flagstick was out, as it was when Jordan Spieth concluded his round with a birdie. In fact, most everyone was putting without the flagstick to help navigation. Meanwhile, DeChambeau is playing in Dubai this weekend and he left the flagstick in when he sank a critical eagle putt on the 10th. The pace of the ball was quick.